When Linn Frisinger and Nadja Forsberg watched a documentary outlining how products are made to break in order to stimulate consumption, they dropped everything. 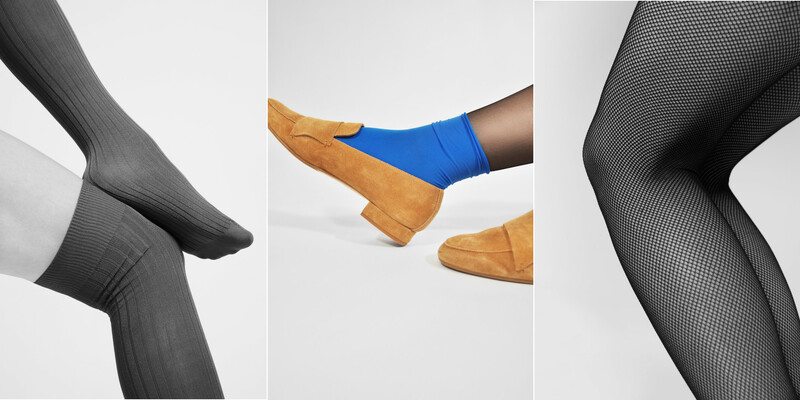 “It was an epiphany for us, and it tends to be an epiphany for our customers now,” says Frisinger, founder and CEO of Swedish Stockings, the brand that designs and manufactures stylish, comfortable pantyhose that last. Today, Swedish Stockings is the only brand in the world to produce pantyhose from recycled materials and with sustainability as a central USP. The goal was ambitious from the start – to change the entire industry for the better, using transparency and innovation – but they just keep raising the bar. “The goal now is to create a product that is completely biodegradable – a product that actually disappears,” says Frisinger. Recently, the brand launched the new Innovation by Swedish Stockings. Under this banner, they will launch new innovations with the aim of driving research forward, including the recent pantyhose with recycled elastane – an achievement deemed impossible until Swedish Stockings found a solution. Produced in Italy by the world’s best pantyhose manufacturers, the garments are of the very best quality, fit and comfort because, as Frisinger puts it, “you can’t sell something that isn’t comfortable – and quality is a crucial aspect of sustainability”.